A pocket watch - a symbol of prestige and freedom. It gets rid of the owner of the need to listen to the bell ringing for orientation in time, accompanying him in everyday life. For many years, this gorgeous accessory was the subject of inspiration for the implementation of different fantasies of watchmakers, who over the years have started to create small caliber sizes, and attached a pocket watch more practical. Today the pocket watch is not practical. Perhaps the problem lies in the emergence of more user-friendly accessories - watches. However, pocket watches are continued to be an indispensable little masterpiece, which will at all times relevant. The best watch manufactures engage in development and production of pocket watches. 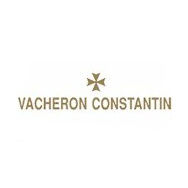 One such company is the Vacheron Constantin, which always struck its fans great pockets and wristwatches. Time affected the brand products, making them more elegant and incomparable, but not for artists who to this day continue to create and to please everyone. The whole secret, perhaps, is in the capable hands of the masters of this brand, embodying the soul into the small masterpieces. 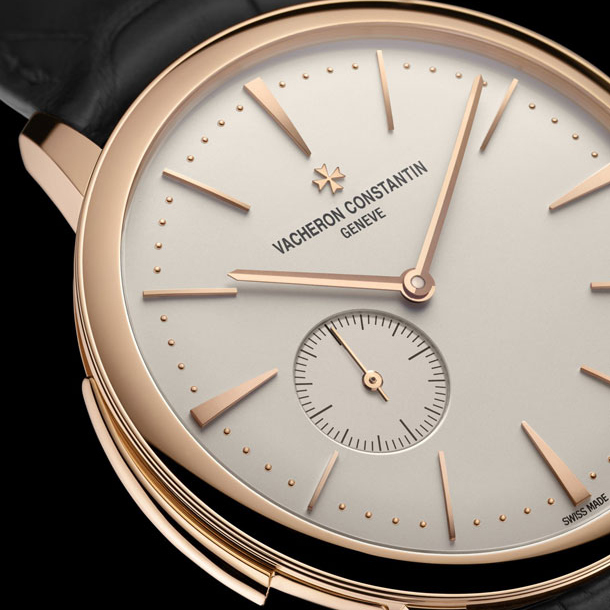 Watchmakers and designers of Vacheron Constantin express their emotions through their works. The first pocket watch, made by Jean-Marc Vacheron in 1755, is an example. This famous watch company has released a variety of pocket watches, equipped with a number of complications. The company brings the memories of the golden age into the models that come to life in an age of high technology. Their quality remains unchanged. Retrospective pocket watch brings easy nostalgia. A new work of art called Patrimony Contemporaine Pocket Watch (82028/000R-9708) on a leather strap is equipped by manual winding caliber 4440 with 65-hour power reserve, display functions of hours and minutes. The watch water resistance is 30 meters. The kit also includes a gold chain. The Patrimony Contemporaine Pocket Watch is transformed into desktop. 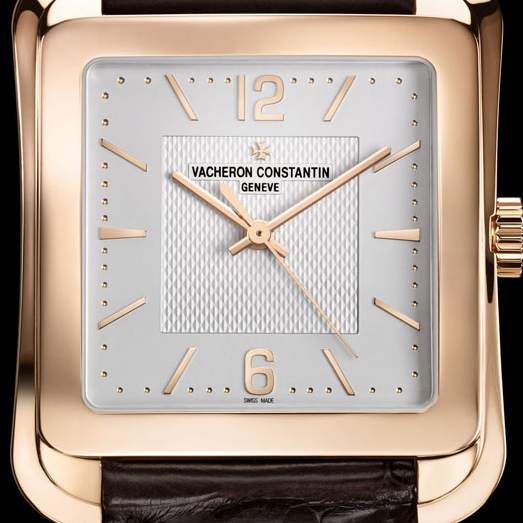 The round case of the model in diameter of 43 m and thickness 7.4 mm is made of 18-carat rose gold. A silver dial with applied hour markers complements the image.